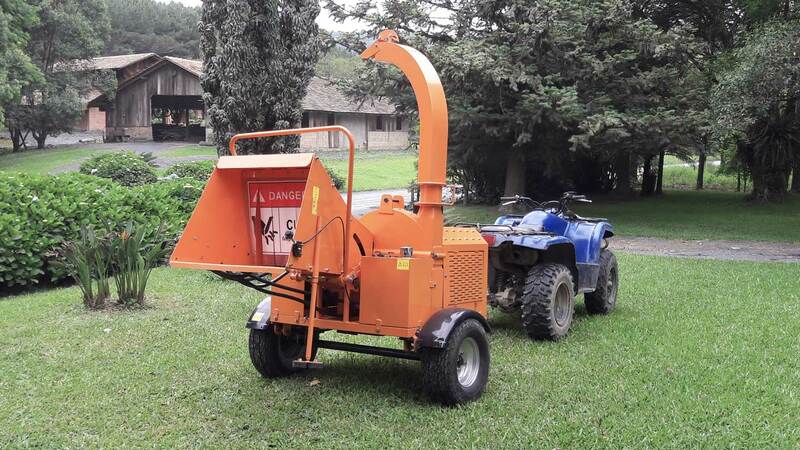 The PDX 160 is intended for the management of trees in prefectures, companies to provide services of cleaning of green areas, leasing companies, contractors, condominiums, farms, landscaping companies, among others. Why choose the PDX 160? 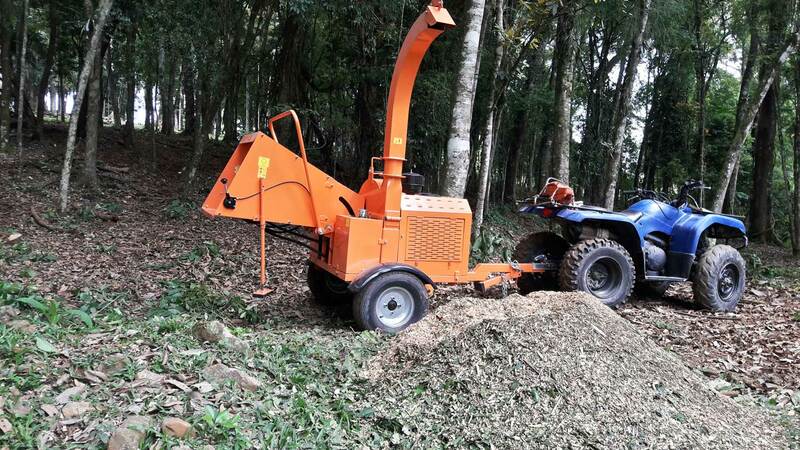 Extremely efficient and reliable machine with low fuel consumption. 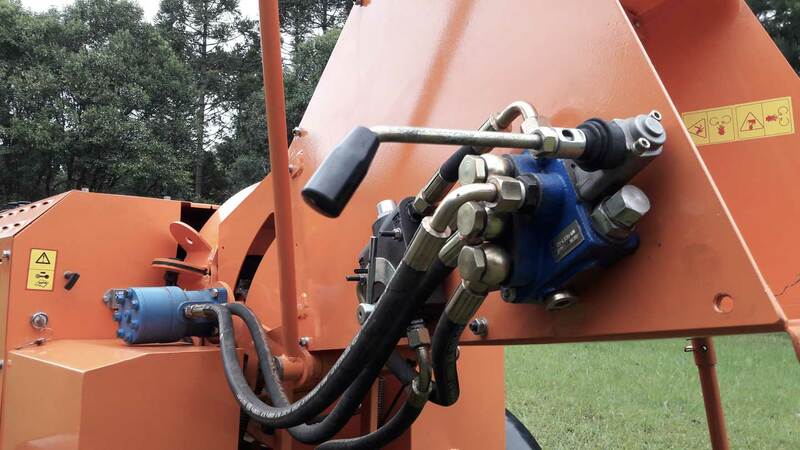 Rpm monitor prevents over-power from the motor and optimizes operation. Powder coating specially developed to ensure effective protection against rust. Output chute with baffle to suit the discharge to the task. 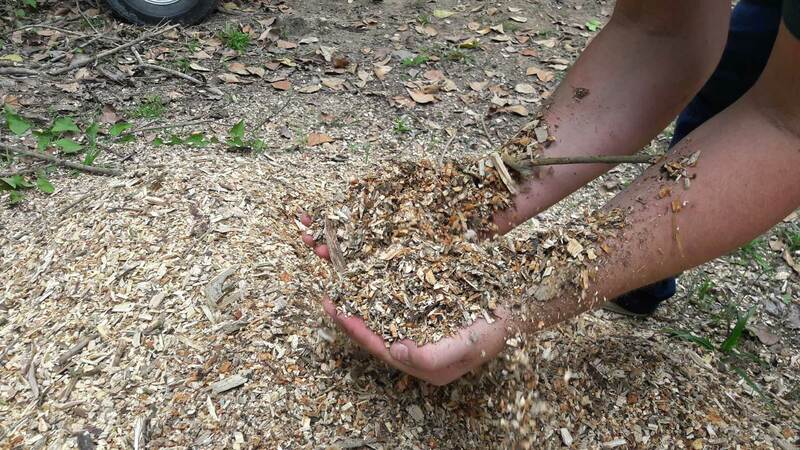 The material after crushing is of high quality, ideal for ground cover or energy burning. 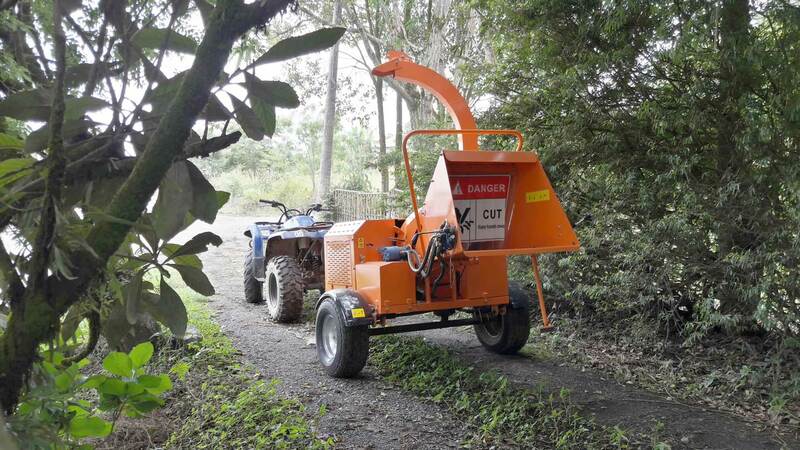 The branch chopper is mounted in a trailer, it has automatic hydraulic system of feed rollers, two blades and capacity to grind branches up to 160 mm in diameter. Its drive is given by a diesel engine with 4 cylinders and 22 HP of force, with electric start. The steel inlet rail improves material flow, reducing operator effort. Nail and toothed double rollers pull out antlers, shrubs and trunks of various sizes with great dexterity. 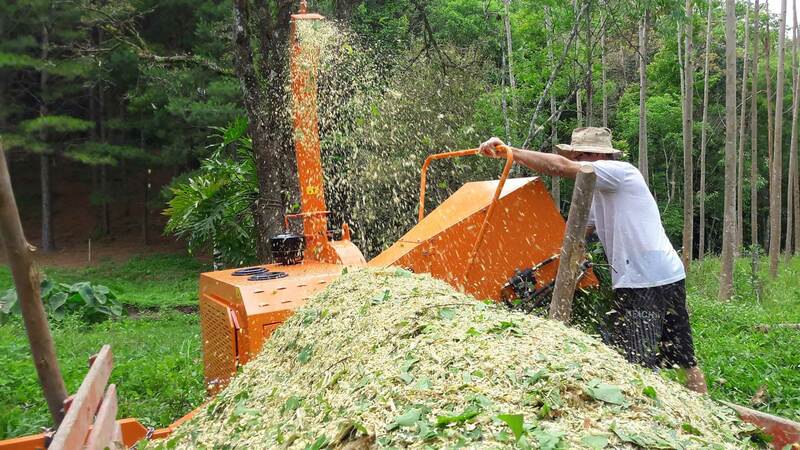 Great alternative for picking material, in condominiums, farms or use of Gardening companies. 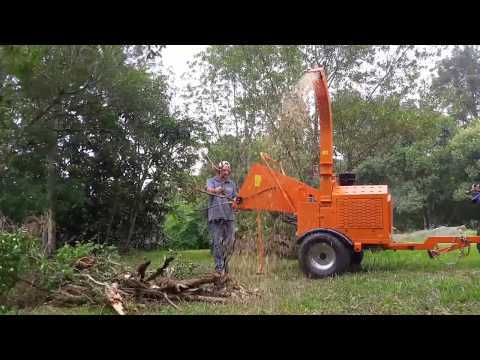 The outlet duct can rotate up to 360 Degrees, makes it easy to direct the site to the Branched Branches and trunks. Number of Knives: 1 Against knife, 2 knives und.